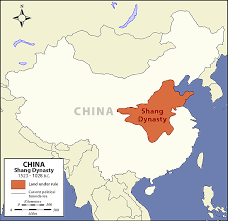 After Xia times, first the Shang family and then the Chou family ruled ancient China. This was the	Bronze Age of ancient China. The second family was the Chou. The Chou built roads and canals for better trade and travel. They were interested in the sciences, especially astronomy. Literature flourished. It was under the Chou that ancient China was broken into feudal states. For most people, daily life was very similar during both dynasties. Clan leaders in various cities during both the Shang and Chou Dynasties were always fighting each other for control of land and cities. Each city was protected by a huge wall made of strong clay brick. A wall might be 30 feet high and 65 feet deep. Some walls ran for miles. Inside the walls of a city lived nobles and priests: The nobles, priests, and the king or emperor and his family, lived in splendor. Their homes were palaces made of wood and clay bricks. They were lavishly decorated with colorfully painted tiles and bronze candlesticks. They had flower gardens and grew spices. Their food was plentiful and delicious. Their clothes were made of silk. They were buried in gorgeous tombs, filled with art and real chariots. The kings, or the emperors, were buried with real people and real animals, guards and dogs buried alive in their tombs to protect them. Outside the walls of a city lived craftsmen and merchants: Craftsmen and merchants were not treated very well. The merchants and craftsmen lived outside the walls in mud huts. They were supposed to be paid for their work, usually in food. You could not change your place in life. Whatever your father was, you were. The only exception would be to join the military, and that was not usually a move up. If the city was attacked, the craftsmen and merchants were not brought inside the city walls. They were not considered important enough. They were left to fend for themselves as best they could. Not even near the wall, Farmers: In small villages scattered around the countryside lived the lowest class of people, the peasants. Most of the ancient Chinese people during Shang and Chou times were peasants. They were the farmers. Their life was very hard. Their clothes were simple tunics and trousers. They had very few belongings. They usually did not have any furniture in their homes. They did not own their farms. Land was broken up into small plots. Each plot of land was owned by a noble. Nobles might own many plots. But each plot was a separate unit, each farmed by a peasant family. In exchange for working all the time, the peasants got to keep some of the food they produced. If they were caught hoarding extra food to feed their families, they were killed. In the summer, peasants lived in bamboo temporary homes built on their small plot of land. They farmed with stone and wood tools. In the winter, they moved back into their village. Each family had its own one room mud home. Since they were not farming, they worked without pay on other projects. Some worked on the noble's home. Some repaired bridges, roads, or canals for the king or emperor. Some were taken by the military to be foot soldiers until it was time to plant crops. Warriors: In the beginning, warriors tried to fight with horse-drawn chariots. But chariots fell out of style. The ground was too rough. Battles were fought on horseback and on foot. Some warriors, the elite or top warriors, wore battle clothes made of bronze. They rode horses, and carried metal daggers and spears and axes. Most of the army was composed of foot soldiers. They did not have battle clothes. They were usually peasants, forced to leave their fields and family. They wore tattered tunics and trousers. Their weapons were made of stone and their shields, if they had any, were made of wood. Family: For all people during Shang and Chou times, family was all important. The oldest male of each family, from nobles to peasants, was the head of the household. Children were required to be respectful, obedient, and to never argue. (If they did, they were severely punished.) If one member of the family did something wrong, the entire family was in disgrace and could be punished.